When we think of spiritual healing we begin to think along the lines of gentle touches easing pain and discomfort, allowing the body to start the process of healing. Yet many don't understand how the body itself will react to this form of healing. More over some spiritual healing can be hard on the physical body and the changes can go deeper than most suspect. There are a number of healing events that can be felt during and after you begin healing and some of them can be very uncomfortable and frightening until you begin to see and feel the difference. With the gentle touch of Reiki, the body relaxes. In this relaxed state the stressors held within are slowly released. You may find that you experience a gentle tingle or warmth during the healing session. Sometimes these feelings last longer than the session itself. Rarely is there any discomfort or shock to the body. As with Reiki, Accupressure also relaxes the body. Pain can be a part of the healing of accupressure. There have been many instances when a blocked pressure point has been touched or activated and the pain can be sharp and sudden in both the site of the pressure and its corresponding body part. This pain rarely lasts longer than the initial shock of feeling it. 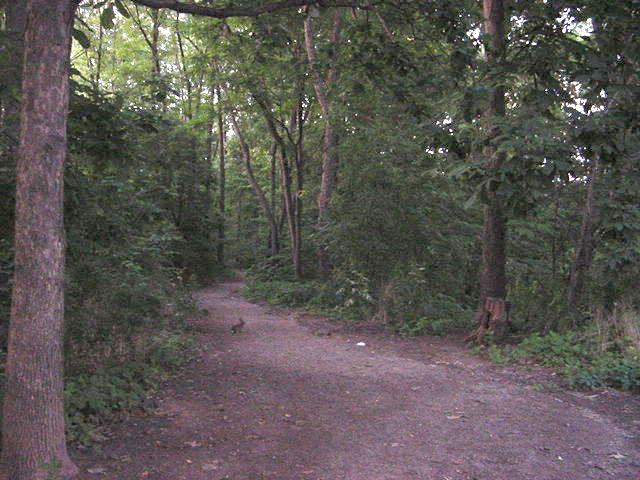 It fades quickly and the body begins to find a new balance. Pranic healing can create a sense of pulling or of the discomfort, pain or illness being pulled out from the body. This can create some interesting sensations. If there is a lot of pressure on the energy of illness to remain during Pranic healing you may feel the energy snap back similar to an overstretched elastic that breaks. Some of the illness is released and what remains in the body may have to wait until it gathers enough of itself back to start the next healing session. This type of healing can be difficult if the sessions must last or be repeated often. Often with these types of healing there is very little discomfort and it is the reason many people add these techinques to support other healing modalities or to boost the prospects of modern medicine working. There are times though when gentle touch healing is not enough to trigger the body into healing. This isn't a lack on any healer's part but an introvention from spirit may be required to really begin healing. When the healing is not happening in a person's path due to phsyical or medical reasons, spirit can and sometimes will spur the healing onward. These experiences can be as gentle as the healing modalities above or it can be shocking and unnerving in its severity. It is the universe and Divine stepping in and creating a new reality and with any new reality or change both the body and spirit can experience severe upheaval. These can be the start of what many may refer to as miracle cures and healing, though it most often it is similar to other healing modalities once the body and spirit begin to atune to it. The feeling of spirit doing the healing can be drastically different, yet in its simplest form you may experience warm and gentle pressure from out of nowhere and it can end as quickly as it begins, just like other gentle healing modalities. More intense feelings can be felt if the healing must go deeper into the body. These can sometimes feel similar to the psychic chills. These chills can range from a single mild shiver to full body convulsions that run rapidly through the body and last for quite some time. These chills tend to make the body feel cold even under the warmest of blankets. Spiritual healing can have a huge effect on other aspects of the body also. If you have an unhealthy relationship with food you may find that during spiritual healing your tastes and food wants change. The same can be said for other relationships based on our senses., each may be affected by spiritual healing. Once spirit has engaged in healing sleep patterns can be changed also. The body will always strive to achieve a balance and spirit will slow down or even stop for a period if the intensity has been overwhelming. Spiritual healing will also influence outside forces and create the need for changes to be made. Unhealthy relationships with people can become more noticable and the desire or need to change or leave those relationship can become the driving force of change. The need to simplify and create peace and harmony to keep the healing engaged serves as inspiration to continue. During spiritual healing you may find that the chakras are also being cleansed and opened. Odd pains that haven't been prevalent can become so as they are released and balance is restored. The senses can become heightened and the recognition of spiritual awareness can create an even greater flow of changing energies and wellness. Meditational states can help to visualize just what spirit is trying to do and on some of the more gentle techniques you can feel or experience a gentle flow of energy in and out with each breathe. There may even be changes to the colours of the energy seen. Someone with severe pain may see white or light colours entering the body while darker colours begin the process of releasing toxins - mental, physical and spiritual. It is however important to realize that not all healing will be quick and/or miraculous. Most healings take time and many will use the rule of thumb that it may take as long as the illness has been in the body for it to leave but the healing is happening. At each revised stage we get to a point of balance and as the next energies flow through to heal, it is from this point that the new session of healing begins. In between times the body, mind, and spirit will need time to rest and re-examine where in the healing process it is, what maybe next, and how best to incorporate these changes into each new reality. I bid you peace as you experience and benefit from all forms of spiritual healing in your life. Blessings. Aragonite Star is a common crystal for healing and has been known through many ancient civilizations. Aragonite Star is usually found in locations with thermal springs. The star formation refers to the fibrous filaments within and when they are exposed the crystal becomes easily recognizable. Most Aragonite Star is usually available from Italy, Germany, Britain, Spain, and Morocco. Aragonite Star can range in colour from white, to yellow, and to reddish-brown. As a tool for physical healing, Aragonite Star supports the formation and healing of bones and joints and can restore elasticity of spinal discs. Aragonite Star can help support and boost the immune system. It can help prevent calcium deficiency. 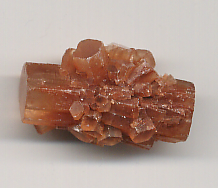 Aragonite Star has been used to alieviate pain and muscle spasms. Aragonite Star helps to reduce hypersensitivitiy to surroundings and stress. Spiritually, Aragonite Star is a guardian of Earth energy. It has a very strong connection to Gaia energy and can open and clear blocked ley lines. Used as a touchstone, Aragonite Star can calm the psyche and mind. It promotes a peaceful existance and opens the mind and spirit to seeing the potential in others which can help if work needs to be delegated to others. Placed under a pillow, Aragonite Star can guard against nightmares. Aragonite Star should be cleansed twice a month under warm water and allowed to rest overnigh amonst quartz or rock crystals. April is the month when we see and experience a real rebirth in our world. The long winter begins to fade from memory as warmer days and early flowers and buds re-awaken our spirits to our potential and to the potentials hidden in our lives. Life is either bursting forth and is about to. Plants come to life first and we as the caretakers prepare our gardens and clear away the debris left by the long, hard winter. We even begin to plan new plantings and set our goals and intentions for these outward gardens. We do so with our inner gardens as well. We prepare our hearts and minds for the coming season of personal growth. Spiritually we are always growing yet with the spring we find ourselves becoming energized and more animated in our planning and execution of our dreams. We can feel and bring forward our youthful exuberance and it permeates our every day routines. May Day and May itself are all about the dance of life. There is no denying that life is here, in all it's newness and boisterous fervor. The tradition of dancing around the May Pole was just that, a dance to remind us of our connections to the various forms of life and joy that are everywhere in these early days of spring. The weaving dance of life continues in all our our spiritual plans and workings at this time of year also. "Change is needed, yet change frightens me. Change is coming, yet I hold tight to what I know. Change is here, yet I don't have the strength to face it. Change is thrust upon me, yet I can't fade or faulter for long. Change is happening, yet I find within the strenght to stand. Change is life, yet I was scared of what was needed. Change is within me, yet I am more than I was. Change is not what I expected, yet I find joy. Change is not the issue, I am.